Quilt Show coming … Quilt Walk HERE! The Artisans’ Market will offer a unique and select blend of finely crafted creations by well established artists working in many media. The market will feature pottery, jewelry, glass-etched creations, crystals, drums and wood-crafted items from bird houses to handmade tables, quilted, knitted and a wonderful variety of material handiworks plus hand painted wine glasses and amazing creations on canvas by gifted artists. This market aims to be selective and exquisite and will ideally feature some new and changing faces as the season moves along. Join us Saturday, May 19th from 10:00 a.m. to 3:00 p.m. at 522 Fairview Road. Watch for regular markets on the following Saturdays throughout the spring and summer. 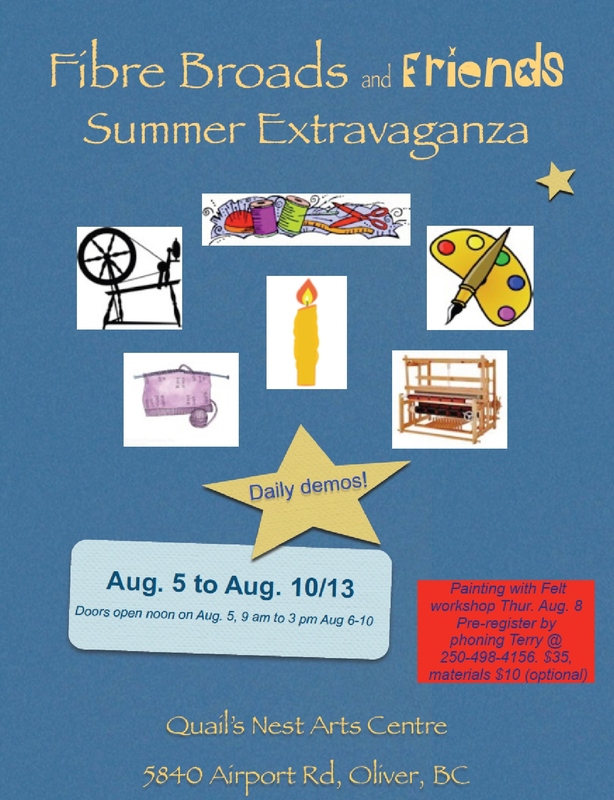 Interested in showcasing your handiwork at the market? Please contact us to express your interest if you are a creator of hand-crafted original works. We have limited space, so don’t wait. You won’t want to miss out on this opportunity! Contact Medici’s at (250) 498-2228 or drop by with a sample or photo of your work!